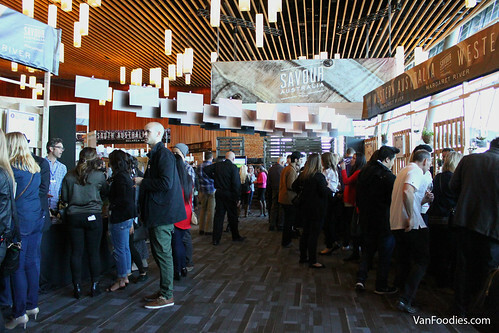 The Vancouver International Wine Festival 2016 Tasting Room had, in my mind, great potential to be the best I have experienced to date. Why? One word…Italy! Yes, the romantic, bold and fabulous world of Italian wines was featured at this year’s wine fest. However, to my surprise, there were more wines I preferred from other countries. Perhaps it was the hype I had built up in my mind that made me expect a taste sensation, but instead, I got a sub-par flavour experience. Having said that, I will still one day venture to Tuscany and drink wine all day while my husband, Bryan the beer columnist, writes his novels (not unlike Joshua Jackson in Shadows in the Sun). Most of the wines available for tasting were reds…very rich and very heavy. I love my bold reds but it also has to be balanced and have some complexity to it to make it interesting, and I just didn’t find that with any of the Italian wines. Perhaps some aging would have helped soften the wines and bring out the flavours. That is what some of the winery representatives mentioned as I was sacrificing myself trying as many wines as I could in such a short time…what a tough life! At the 2016 Vancouver International Wine Festival, I once again went to the popular 25 Under $25. 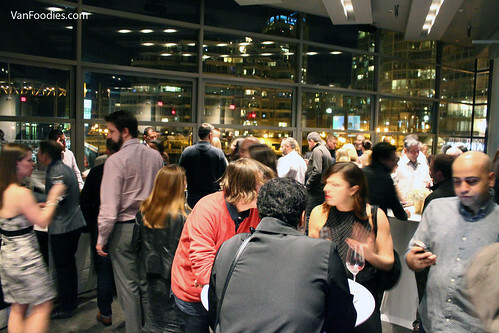 Hand-picked by James Nevison, The Province’s “Wine Guy”, we got to sample 25 wines from around the world that are priced reasonably at $25 or less. Here is the list of wines grouped by colour (white, rosé, red or port), then sorted by countries in alphabetical order. In the event program, there is a price listed for each wine, so I’ve included it here for your reference. If they are currently available at BC Liquor Stores, I have used their listed price instead. Keep in mind that prices may be different at private liquor stores. 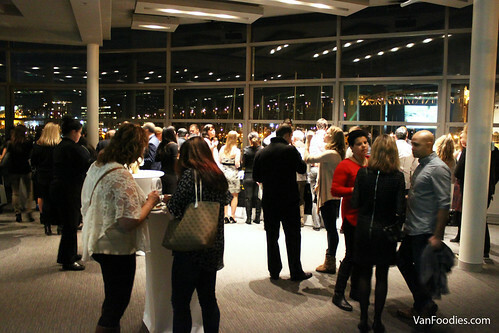 At the California Cruisin’ event of the 2016 Vancouver International Wine Festival, vineyards of the Golden State were showcased at the beautiful Waterview by the False Creek. In California, Zinfandel is considered the state’s signature red, and Chardonnay is the most widely planted grape, so naturally, my tasting focused on these two varietals. 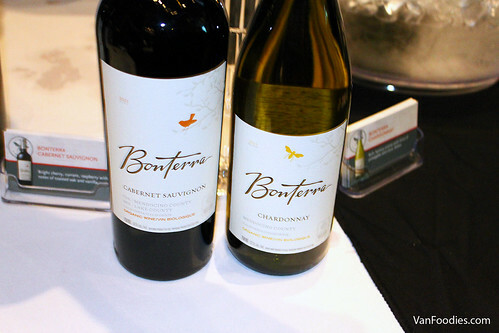 Bonterra Organic Vineyards Chardonnay 2013 ($16.99 at BC Liquor Stores) – This was aged in 50/50 stainless steel and American oak, this has more of a citrusy flavour. It kind of reminded me of Pinot Gris. Concannon Vineyard Founders Chardonnay 2013 – It’s from the Monterey County. Oaked in American oak, it has apple, pear and some tropical fruit note. 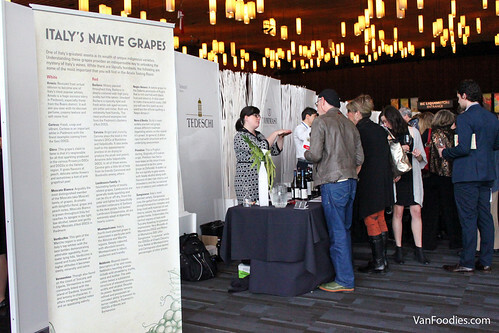 The last Vancouver International Wine Festival event that we attended was the popular 25 Under $25. 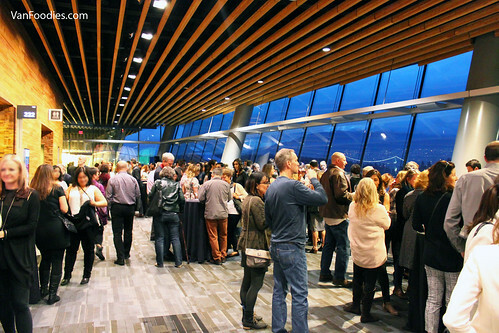 It’s one of the last events of the festival and in my mind, it’s a great event for first-timers or wine beginners. 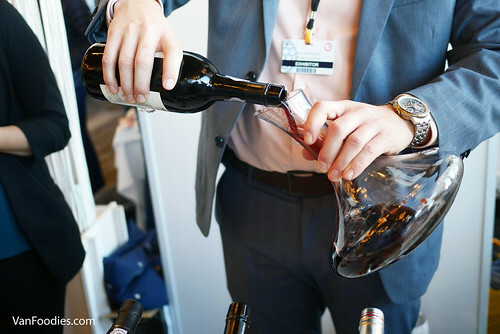 Tickets were priced reasonably and you get to try 25 wines that are generally priced under $25, a price point that would be affordable to most, if not all, of us wine drinkers. 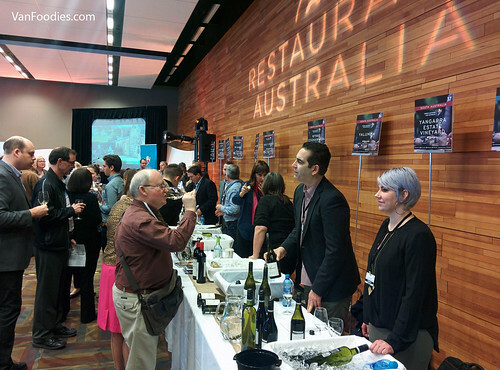 As Kathryn mentioned in her debut post, we checked out the Restaurant Australia event as part of the Vancouver International Wine Festival. 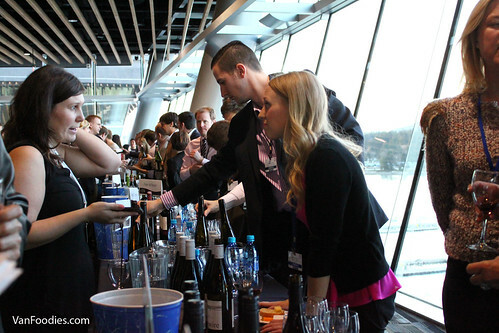 Being the featured country this year, it’s only fitting that there was an event highlighting the Aussie culinary culture and how it pairs with wine.